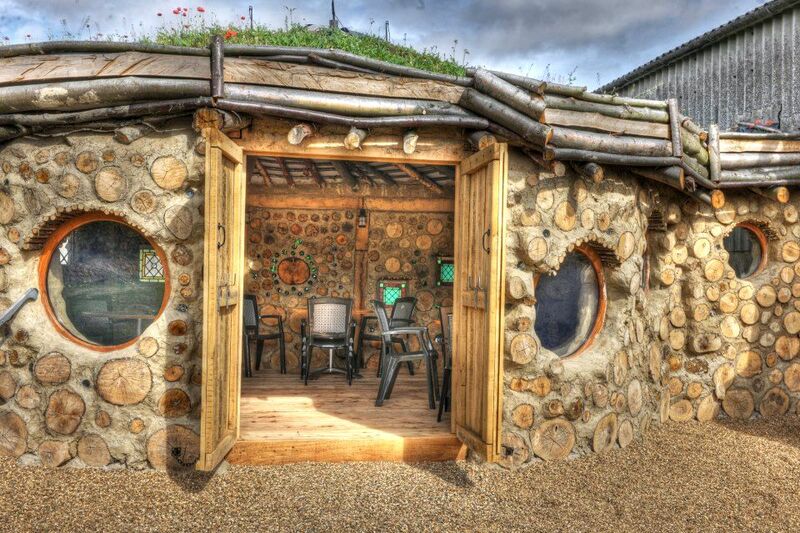 Based in Suffolk and established since 1996, earthmovesdesign is Neil and Emi-Lou Lankford. 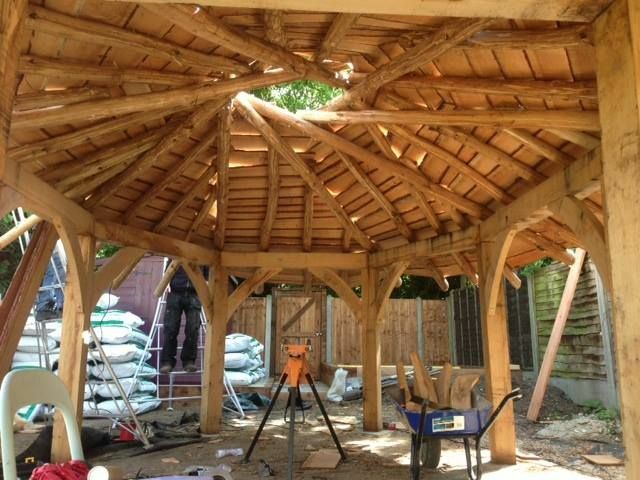 Neil designs and makes gardens, Water features, and natural Cobwood Garden Rooms and kids play dens and has worked with both the private and commercial side of landscaping. 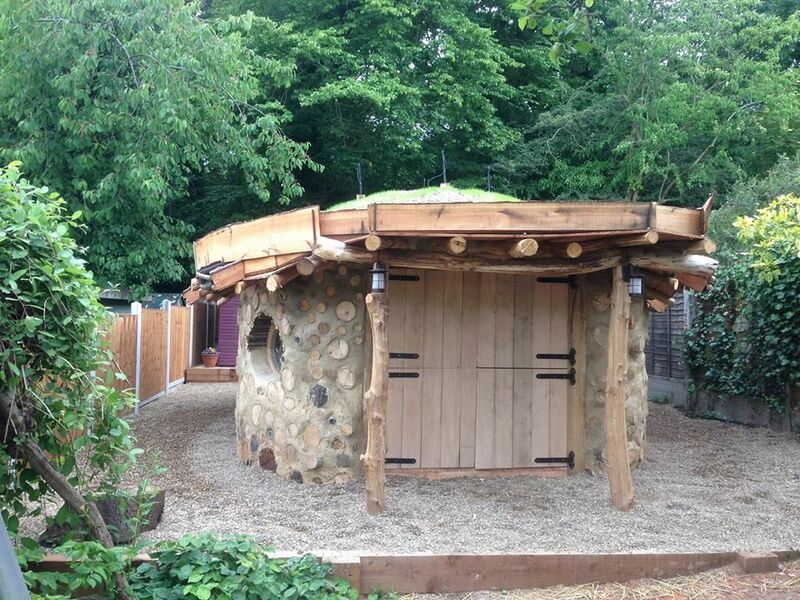 What is a Cobwood Roundhouse? It can be almost any shape, square, rectangle, oval and not just round. 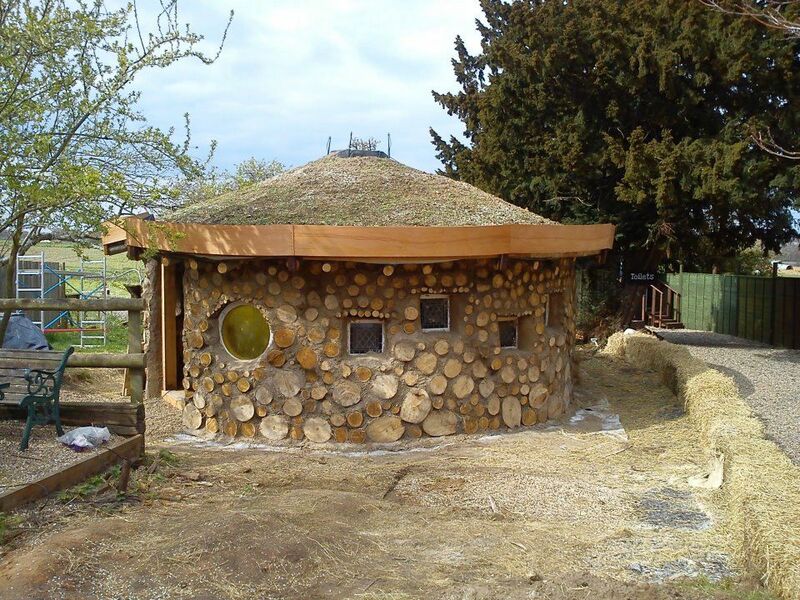 Its a handmade Natural building Constructed around an Oak ‘Henge’ Frame they have walls 40cm thick made using the ancient method of Cob (Soil, Sharp sand, Hay, Lime, and water) and wood, and an amazing self supporting ‘Reciprocal’ roof frame supporting a real flowering meadow. 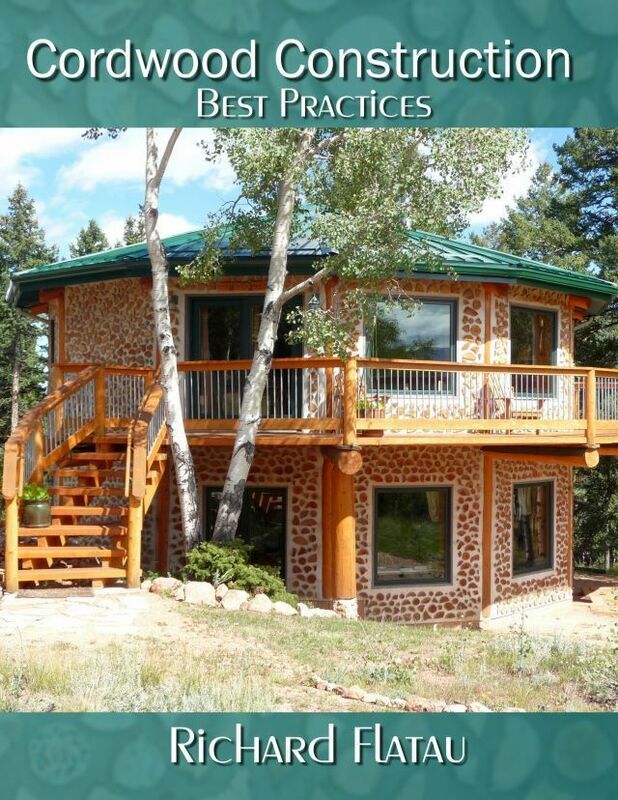 These tried and tested buildings have been designed to withstand Continental weather systems of freezing Winters and baking Summers. They are made from 3-6 metres in diameter (internal floor space) but other designs can be much bigger (up to 200 sq metres). 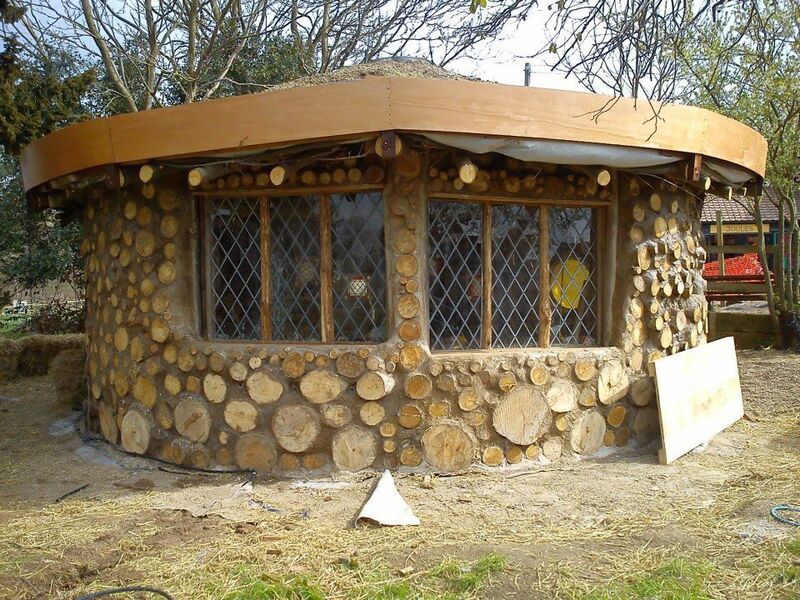 They are made with a mixture of reclaimed Stained glass leaded windows and modern round windows as well as Larch wooden flooring and solid Oak doors, giving them a natural warm feel with each one being unique. 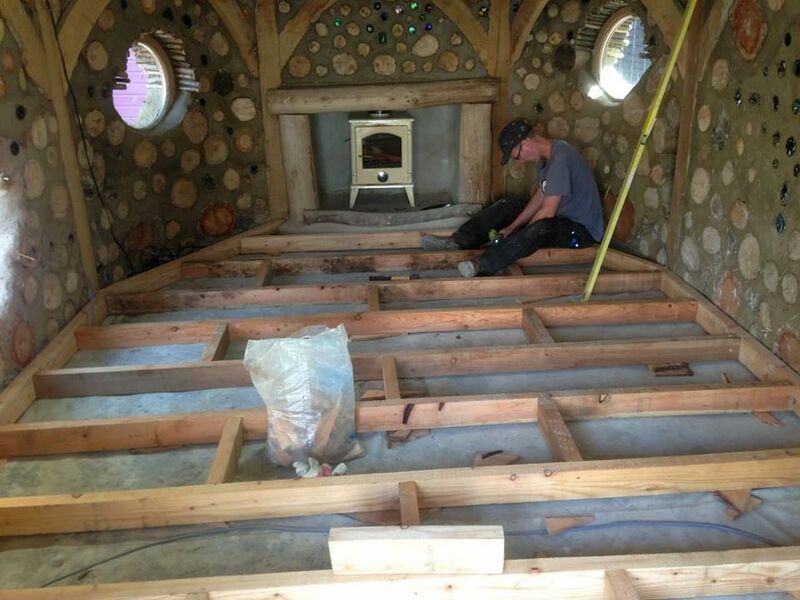 In using locally sourced materials and labour where possible these buildings are both low impact and and natural and take a about 8-14 weeks to make including off-site preparation. 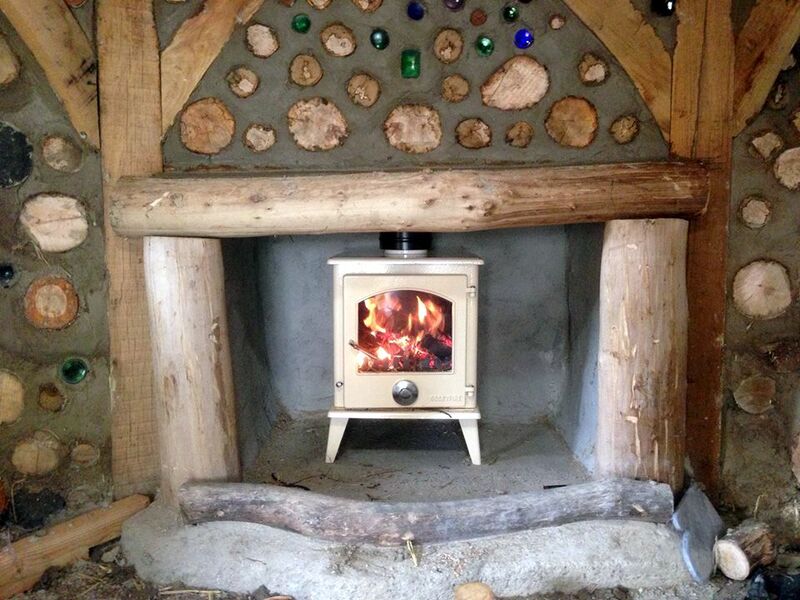 A beautiful stove warms the building. 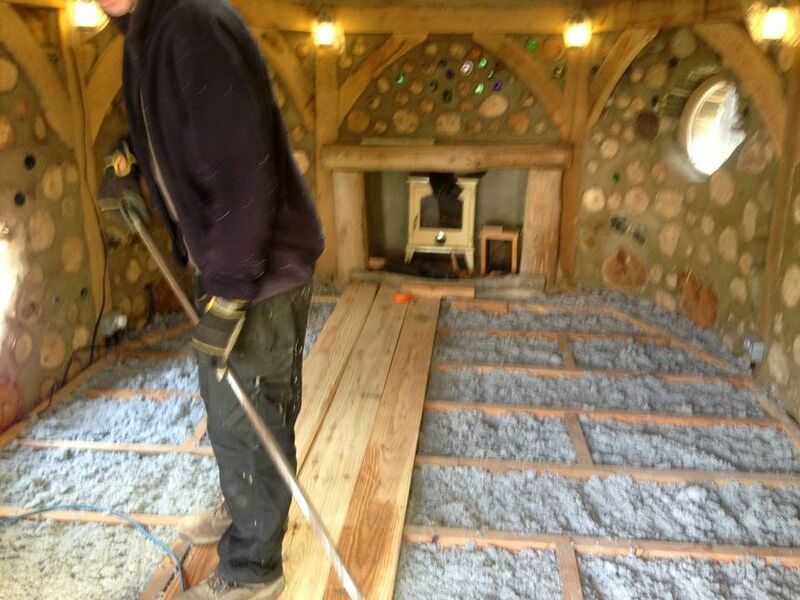 Framing the floor with larch for insulation purposes. Raking the dry cellulose to an even amount. What’s it for? These beautiful, versatile and unique buildings can be commissioned from me and can be just a small garden Snug or scaled up to be something much bigger, more sophisticated and have a multitude of uses such as: Environmental School Classroom, Garden office, Den, Dwelling, Kiosk, Summer house, Holiday Let, Bar, Studio, Shop, Retreat, the list goes on. We can make you one either on its own or as part of a landscape design.